According to a report in DigiTime, LG Electronics edged out Motorola as the third biggest handset maker in 2008 in terms of the number of units shipped. The handset division of LG posted $3.3 billion in sales for the quarter, up 34.6% and shipped 25.7 million units, up from 23 million from the third quarter and up 8% over the fourth quarter of 2007. 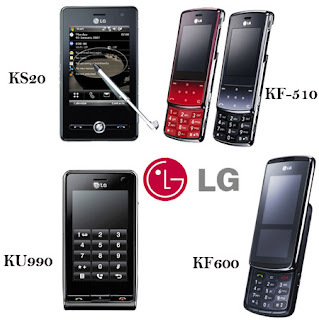 The report said LG shipped 100 million units in 2008, barely beating out Motorola's 99.9 million shipments worldwide. Sony Ericsson was in fifth place with 96.6 million units shipped. Nokia retained its post as the world's largest handset maker, shipping 470 million units, and Samsung was in second, shipping 200 million units, according to the figures. If the numbers hold after all of the handset makers report their full-year figures, it would confirm Motorola's decline. The company has faced weakening financial prospects and sales, and its market share position remains uncertain. In the third quarter, Samsung passed Motorola as the third biggest handset maker in the United States.